The Norwegian International Master Johan Salomon regulary posts chess puzzles on Twitter. 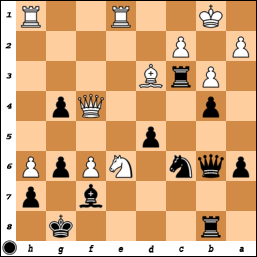 The diagram position is one of those puzzles (Vasiliy Korchmar vs Ruslan Ponomariov after black played 19. – Ng4). In fact he posted two puzzles where a knight was en prise. The first puzzle was a bit trivial. I don’t mean this in a condescending way. I love easy puzzles, especially when I see the solution within the blink of an eye. It gives me the feeling that I am not such a bad player after all. The second puzzle was very tricky and certainly not so easy to answer. There was another aspect of this position that sparked my interest. It has to do with the structure. For me it was clear that this is an example of the Modern Benoni with Bg2. 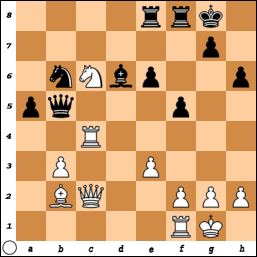 This position can arise through the first moves of a Catalan setup. 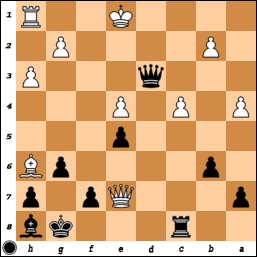 I play the Catalan almost exclusively and have difficulties to deal with the black set up. #2 What is the threat? #1 What is the threat? Usually you win games by playing good moves. Or playing one really bad move less than your opponent. But a chess game revolves not only about our own moves. We have to consider what our opponent is trying to achieve. 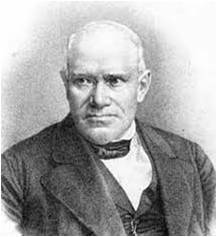 Mature chess players possess important qualities such as recognizing and meeting threats in their chess games. Of course this is something different than what is asked from us in for instance the usual chess puzzles. These puzzles train us to see things from our own perspective. The emphasize is on ‘our own’ possibilities. Although it is great training to solve chess puzzles, they don’t help us to exercise more caution. On the contrary. At some moment you might start to look for a combination in any position! I hope the new series ‘what is the threat’ on this chess blog will be helpful. It certainly made me more aware of my opponents plans and threats. I have to thank Dan Heisman for giving me the idea for this series. His fine book ‘Looking for trouble’ is very instructive and contains lots of good examples. Which I will not, for obvious reasons, repeat here. 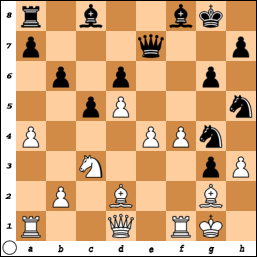 The diagram position arose after black played 13. 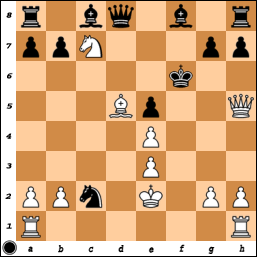 … Qa5 in the game between Etienne Bacrot and Alexander Morozevich (Oykovsky Karpov 2014). What is black’s threat and how can white prevent any trouble? 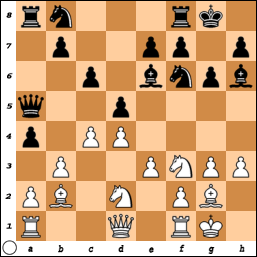 At amateur level most chess games are decided by big tactical mistakes. The average game on the popular chess.com lasts only about 25 moves. If I look to my own games the picture is quite similar. I also noticed that when you do not make big mistakes, you will always be in with a chance to get a good result out of a game. Just don’t blunder!